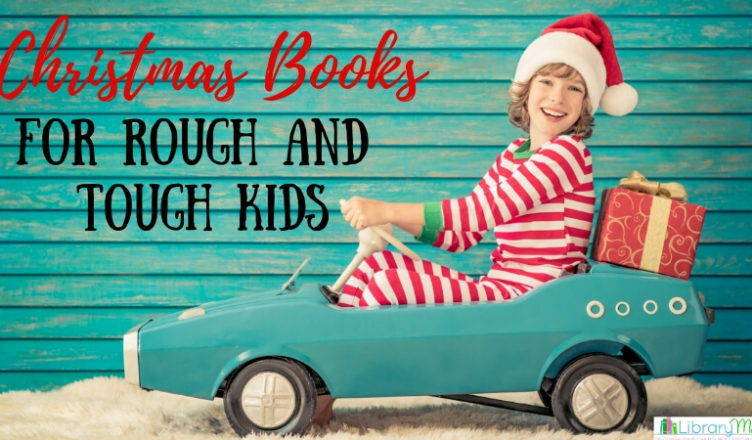 Our family loves classic Christmas stories filled with magic and wonder, but my rough and tough son and daughter also love the following holiday reads featuring ninjas, pirates, knights, and a group of holiday superstars. Enjoy! What better way to celebrate Christmas than with an epic snowball fight against Santa? 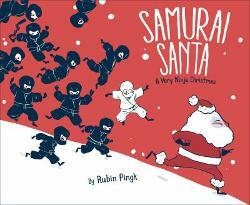 When Yukio and his ninja friends unknowingly enter into an impressive battle against Santa and his samurai snowmen, it becomes a Christmas the ninjas will never forget. 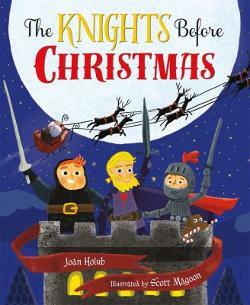 With its attention-grabbing illustrations and exciting storyline, you won’t want to miss this unique Christmas tale. 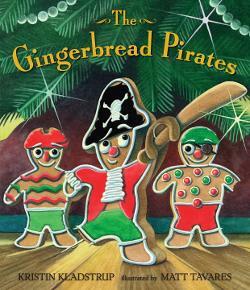 As Jim and his mother bake Gingerbread Men for Santa, Jim decides to decorate them like a pirate crew. His favorite is Captain Cookie who he brings to bed with him. The captain awakens in the night and searches the house for his crew before they can be eaten by Santa. When they finally meet old St. Nick, he surprises them with a Christmas miracle. My children cannot get enough of this imaginative read aloud. 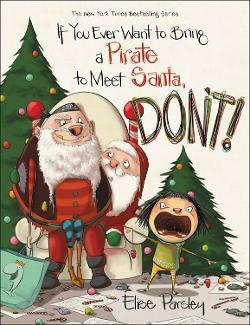 Magnolia thinks it will be a great idea to introduce a pirate to Santa, but while waiting in line to meet him at the mall, she soon discovers the reason pirates are on the naughty list. Full of humorous hijinks and giggle-inducing illustrations, you won’t want to miss this comical holiday book. This series is absolutely hilarious and I highly recommend you pick up the first few installments. 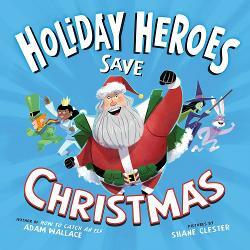 Santa Claus, The Tooth Fairy, The Easter Bunny, a leprechaun, and a witch are all part of the Holiday Hero Team. When Santa becomes ill, it is the heroes’ job to save Christmas. Kids will not be able to resist this fast-paced graphic novel picture book filled with famous mythical characters. When a sensei attempts to reward his ninja apprentices with a special treat of ninjabread, they are all shocked when it leaps out of the oven to challenge each one. 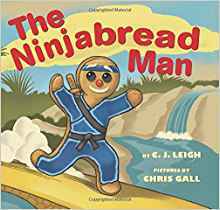 While many of the ninjas attempt to catch the Ninjabread Man using their strength and speed, he is no match for one ninja’s cunning wit! This is a fun tale that can be enjoyed all year long! 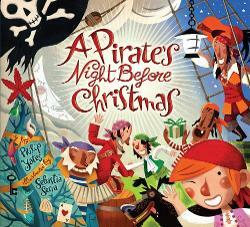 This rollicking spin on The Night Before Christmas features a madcap pirate crew preparing for their version of Santa, Sir Peggedy. Get your pirate voice ready for some silly rhymes containing a myriad of pirate verbiage! 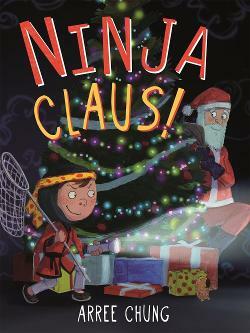 Maxwell is an aspiring ninja who is determined to catch Santa with his clever traps, but Santa proves to have some sneaky ninja moves of his own! Large spreads combined with graphic-novel-like panels adorn this action-packed comical story. This amusing spoof on the classic poem, The Night Before Christmas, follows three bumbling knights as they attempt to ward off an invader who turns out to be Santa Claus. A multitude of puns and wordplay make this a clever and entertaining holiday tale.